...I don't think he appreciated me taking photos of him. 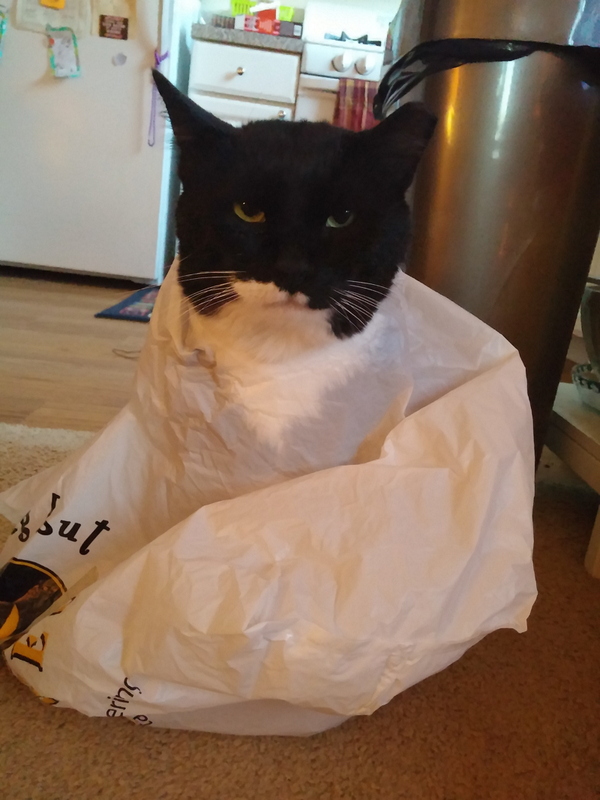 He eventually started to walk around with the bag still stuck to him, so I had to put the camera down and pull it off before he got himself into trouble. But Shawn and I were cracking up over how ridiculous the situation was. 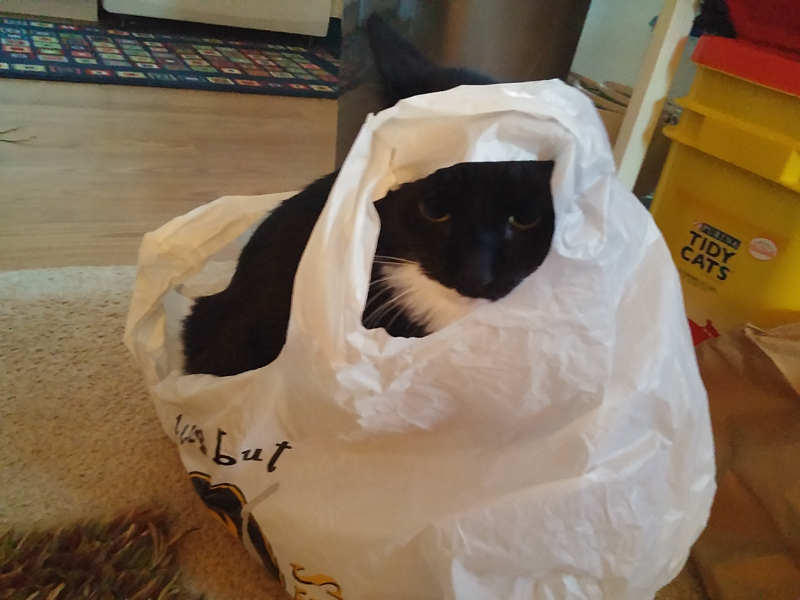 Sylvester probably won't be exploring any more plastic bags for a while. Aw, who am I kidding? He loves them! Haha. Bags - especially paper ones are my cats favorite things, although nothing beats sitting and sleeping in an empty small box apparently. 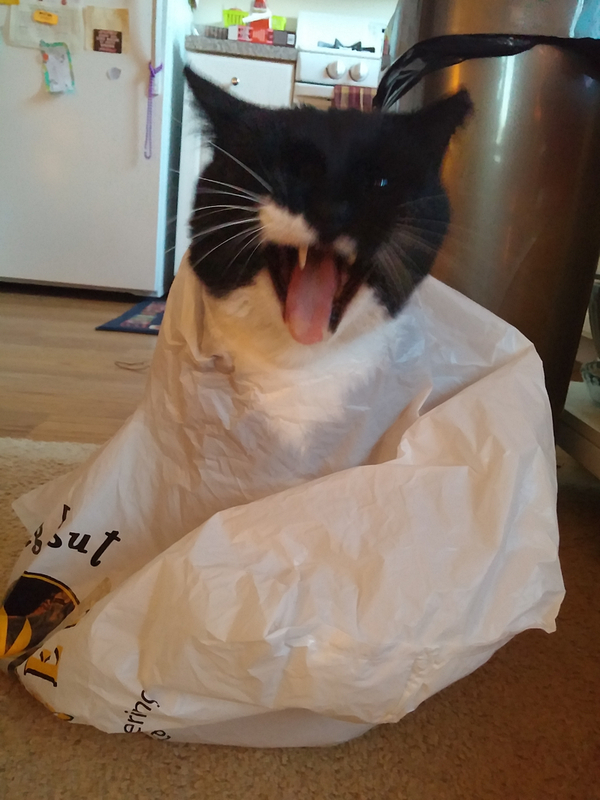 haha, our cats like paper bags more than plastic, but still gets really funny! Thanks! He's a pretty ridiculous cat! Lloyd is such a box cat. 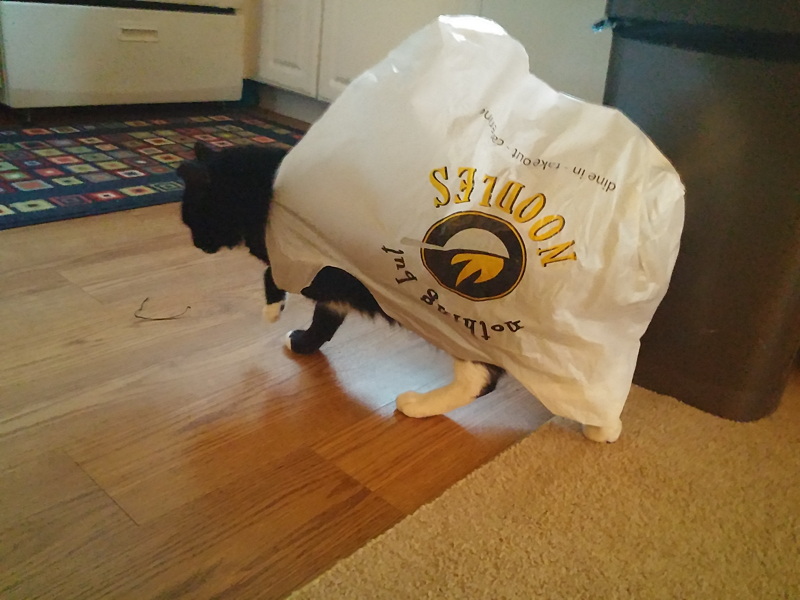 Sylvester loves paper bags. 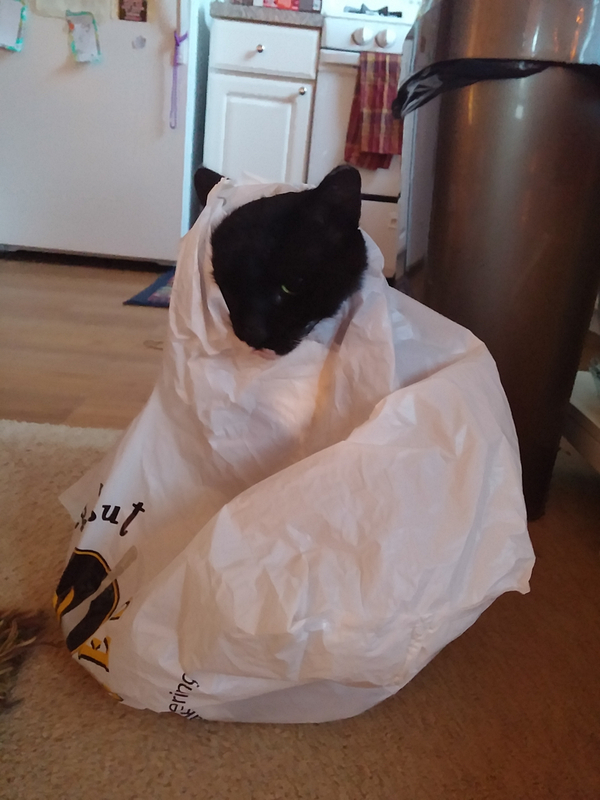 This is the first time I've seen him get into a plastic bag though! I felt bad for laughing at him, but it really was super silly! Oh that is too funny! I love how he just tried to walk away and act normal. Hahaha! Yeah he sat there for at least five minutes scowling at us, and then finally decided to walk away... very very slowly. Haha!